The simple term â€œunique visionâ€ may be quite complex depending upon its context. Within the subject ofÂ art, it may mean presenting images in a way not seen before. Regarding eyesight, â€œunique visionâ€ takes on an entirely different meaning, especially for the visually-impaired â€“ the reality of seeing, of witnessing an environment in a personal way nobody else does. 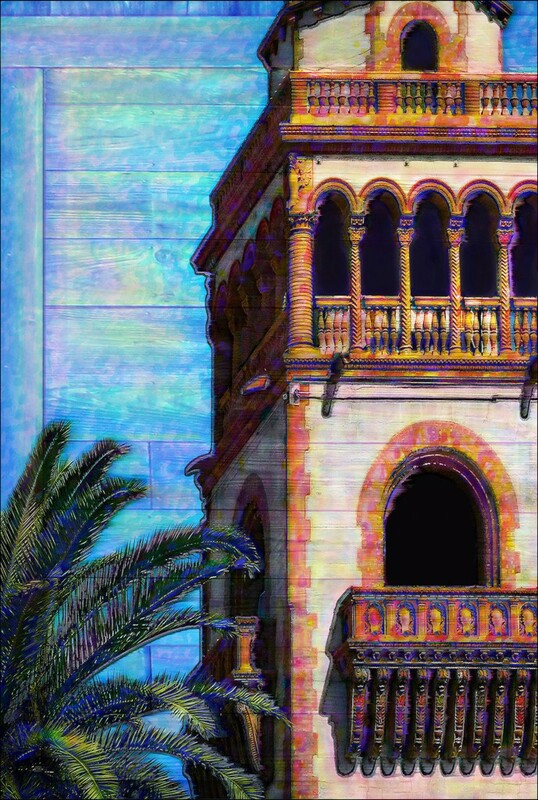 Â These two different realities come together to define the â€œunique visionâ€ and talent of Steven D. Anderson as he renders St.Â Augustineâ€™s architectural heritage in a way no otherÂ artistÂ does â€“ with unique perspective and vibrant, brilliant, unexpected color. TheÂ StarvingÂ Artist, an iconicÂ artÂ gallery in the center of the cityâ€™s historical district on Cuna Street, teams up with Limelight Theatre to exhibit Andersonâ€™s impressive creative work during this winterâ€™s production of The Grapes of Wrath. Hester Longstreet, TheÂ StarvingÂ Artistâ€™s other co-owner, was recently elected as vice president ofÂ ArtÂ Galleries of Saint Augustine. Hester and Joyce select the art for Limelight Theatre among the gallery’s 40 or so area artists. â€œSeven years ago I was diagnosed with Retinitis Pigmentosa and severe Glaucoma, both diseases progressively stealing my sight little by little, day by day. My independence and my self-confidence were devastated and I entered a depression as my sight and independence quickly eroded,” Anderson said. â€œI have a tiny postage stamp sized portal through which I view the world, surrounded by a blurry darkness filled with obstacles of bright flashing lights and a fog that comes and goes relentlessly. Iâ€™m almost completely color blind. Subtle and light colors are all shades of gray to me. Darker colors are black. The only color I see must be bright and saturated. My field of vision is nearly closed, but I keep on creatingÂ artÂ while I can, There are still many historical antiquities I havenâ€™t yet examined,â€ Anderson explains. Walking into Villa Zorayda Museum one day, with paintings of legendary Franklin W. Smithâ€™s Casa Monica Hotel, and the villa itself, owners Jim and Marsha Byles were immediately awed by Andersonâ€™s representations of Smithâ€™s architectural legacies. The Byles family purchased his pieces at once.Â One year later, Anderson madeÂ artÂ history by exhibiting at Villa Zorayda Museum during Saint Augustineâ€™s 450thÂ Commemoration as the very firstÂ artistÂ to ever exhibit at the museum since its founding in 1933. His exhibit and sale was so successful, it was extended an extra month. 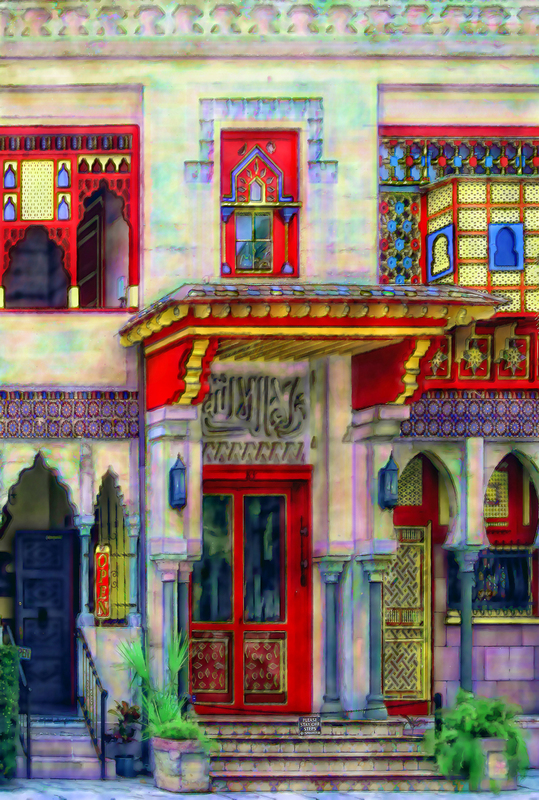 Villa Zorayda by artist Stephen D. Anderson, on view Jan. 22-Feb. 14 during The Grapes of Wrath at Limelight Theatre. Since then, Andersonâ€™s painting of Henry Flaglerâ€™s Memorial Presbyterian Church graced the magazine cover of the St.Â Augustine Entertainerâ€™s December 2015 issue. Heâ€™s become Galeria Lyons most prolific seller this past holiday season. Anderson also gave anÂ artÂ lecture to a group of aspiring young artists from the cityâ€™s deaf and blind school. â€œIâ€™m so pleasantly surprised by the reception myÂ artÂ has recently garnered, and this new opportunity with TheÂ StarvingÂ ArtistÂ and Limelight Theatre is an exceptional one,” Anderson said. Free admission for participants presenting Museum Day Live! 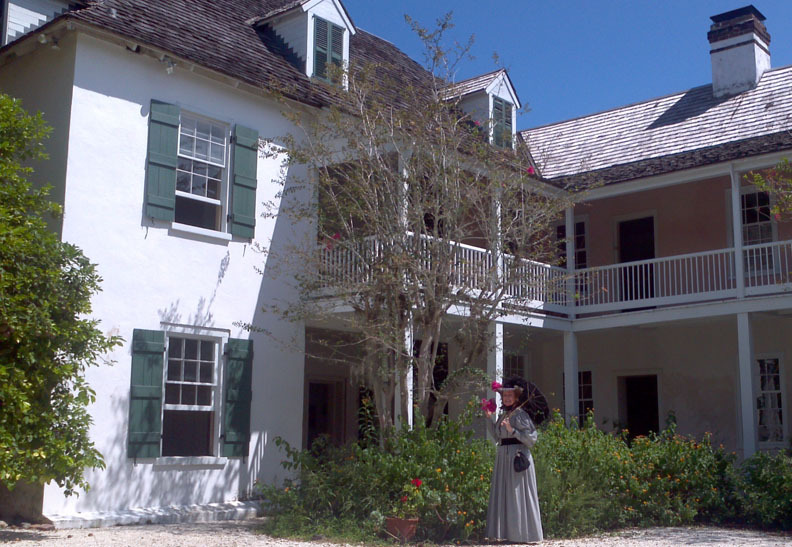 tickets on Sept. 26 The Ximenez-Fatio House Museum will open its doors free of charge Sept….